Anna is a werewolf who was changed against her will. She has recently joined the Marrocks pack as the mate to Charles Cornick the pack’s law enforcer. Recently saved from her original brutal pack, Anna moves to Charles’ home in Montana and soon must confront a witch as she threatens the safety of the werewolves. I really love this series. For this particular series I think it is very important to read the novella that comes before this book in the timeline “ Alpha and Omega”. I enjoy not only the relationship between Anna and Charles but also I love the dimension this book gives to some of the side characters such as Asil and Bran. Some of these characters are mentioned only in passing in the Mercy Thompson series, it is so much fun how Patricia Briggs gives them new life in this series. Patricia Briggs writing is fabulous and I love how she blends myth with a contemporary setting. The only problem is that I finished all of the Mercy books. 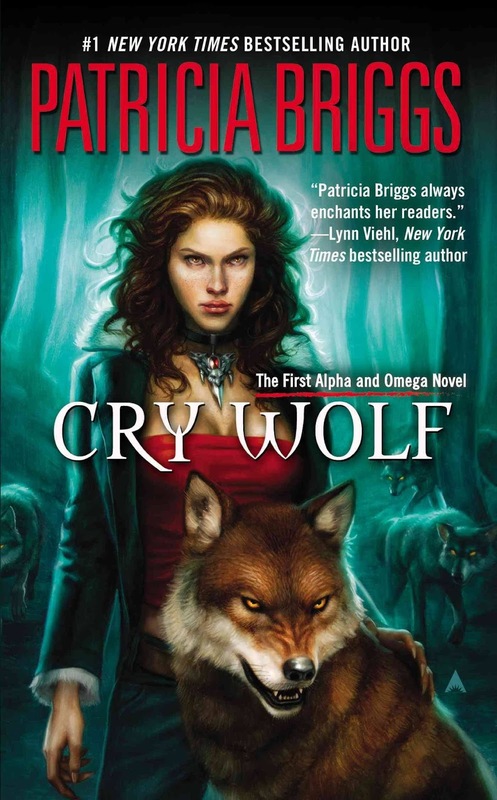 When I moved on to its sister series Alpha and Omega, which begins with Cry Wolf, I was not disappointed! Cry Wolf was just as fabulous as the Mercy books, and I loved getting to know Anna and Charles, who are only mentioned in the Mercy series.